Mass Effect Andromeda has no doubt been one of the biggest video game releases of the year. This was surely one of the most eagerly-awaited games ever, being a sequel to Bioware’s world-conquering Mass Effect series. And looking at the latest UK chart compiled by Chart-Track for the fourth week of March, it’s clear that gamers are still hungry for Bioware’s spacefaring RPGs, as Mass Effect Andromeda has entered the charts like a rocket and is sitting in the number one position right now. This is despite the fact that Andromeda is currently suffering from myriad technical issues and glitches. 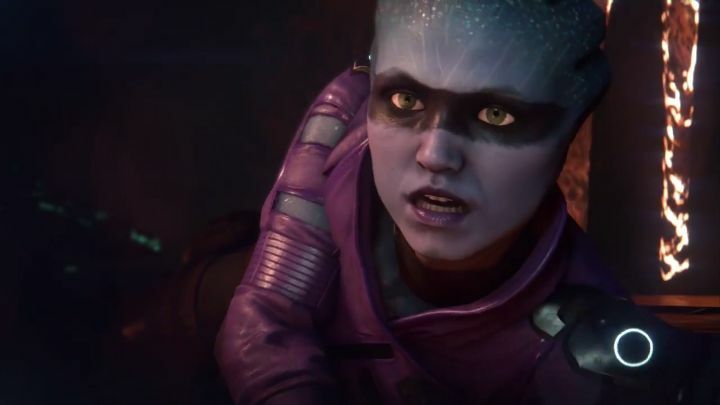 These include the wonky facial animations many are complaining about, poor performance and other bugs, which have made playing through Mass Effect Andromeda not as pleasant an experience as it could have been. Because the truth is that Bioware’s game has had a pretty rough launch, even if it likely hasn’t been as bad as that of past games like Assassin’s Creed Unity, for instance. But still, Mass Effect Andromeda has enjoyed a strong start sales-wise, pushing Ubisoft’s military shooter Ghost Recon: Wildlands to second place. Other top-selling games for the week include The Legend of Zelda: Breath of the Wild, which shows video game fans have really fallen for this latest instalment of the Zelda series and Nitendo’s new Switch console. Also, GTA V keeps making the top 10 despite the fact that it was released back in 2013. Its appeal has endured though, largely thanks to the success of Rockstar’s GTA Online in the last couple of years. It’s also nice to see 2015’s indie hit Rocket League make this top-selling list again, while other traditionally best-selling games like FIFA 17 and Call of Duty: Infinite Warfare released last year are still selling strongly in 2017.